Have you thought about writing a book? Do you just not know where to begin? Do you get writer's block just thinking about writing a book? 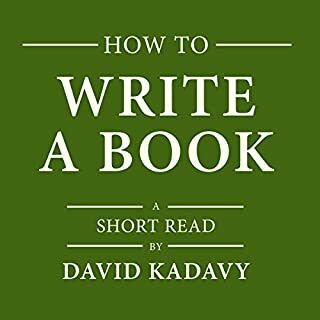 Best-selling nonfiction author David Kadavy shares his simple process for writing a book. Build confidence, ditch your inner critic, and finally write your book with simple habits you can start today. You can listen to this short read in under an hour, so it won't get in the way of the one thing standing between you and your book: action! Since its first publication in 1923, The Art Spirit has been a source of inspiration for artists and creatives, from David Lynch to George Bellows. 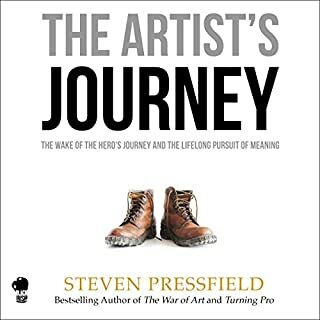 Filled with valuable technical advice, as well as wisdom about the place of art and the artist in American society, this classic work continues to be a must-listen for anyone interested in the power of creation and the beauty of art. Don't die before you make your dent in the universe. Do you ever feel like you have something special to offer the world? Something that only you can bring to the table? With your unique talents, past experiences, and passions, you can make something totally new. Is it a novel? Is it a screenplay? A Michelin-star restaurant? Maybe it's the next billion-dollar app, or a world-changing non-profit. Whatever it is, it's your art. And it's just waiting to get out of you. All you have to do is start. 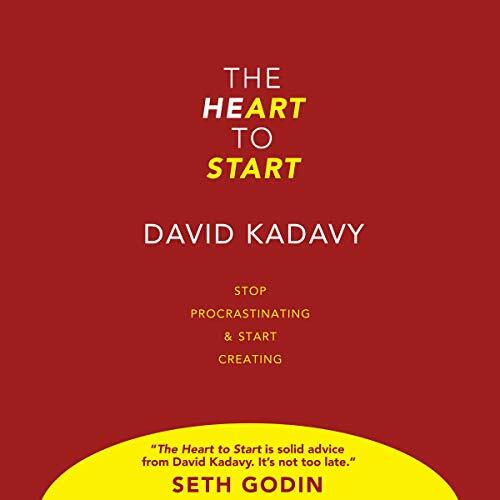 In The Heart to Start, David Kadavy takes you through his journey from cubicle-dweller to best-selling author, showing you how to systematically break through creative resistance, overcome perfectionism, and bring your work into the world. Find "The Art Inside You", and learn to see the forces that keep you from making it real. Tap into your potential. Catch yourself "Inflating the Investment", and learn how to find the time to follow your art, even if you feel like you don't have the time. Bust through writer's block by overcoming "The Linear Work Distortion." Use your own procrastination to your advantage with "Motivational Judo." The examples are woven amongst the stories of great creators. From Maya Angelou to Seth Godin. From J. K. Rowling to Steven Pressfield. You'll hear from a Hollywood screenwriter, a chef, and even a creator of a hit board game. The world needs your work, so don't wait. Listen now, and find the time, motivation, and confidence to make your art real. ©2017 Kadavy, Inc. (P)2017 Kadavy, Inc. 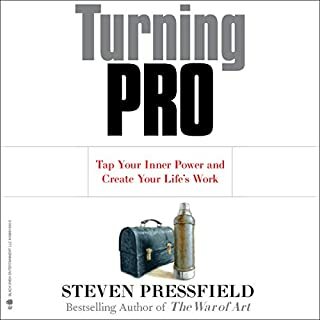 If you are a perfectionist or a procrastinator (we all have done it) get this book. Know ThySelf and Move with Our Hearts came to mind came to mind as I went through the book. Start and Create something great. Enjoyed the narration and inspiring stories. It had me look at where I've been stopped and what I can do to just simply start. I was gifted with two aha moments. Short motivational read or listen that gets to the heart of what keeps many of us in a perpetual state of non-starting or half-starts. 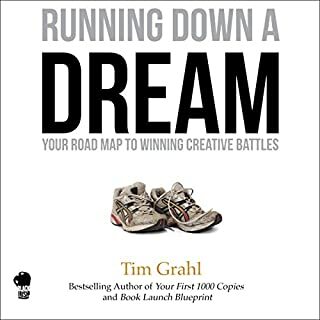 I like his personal examples, guest examples from his podcast, as well as the running story lines throughout the book that reinforce his message and bring it to life. Personal motivation and habit development gems are tucked away in this book. I was gifted with two aha moments. When you need a little encouragement! This book surprised me as being a great "pump me up" resource. Even the semi-nerdy voice of the author gave the stories legitimacy. Instead of a paid actor the candid honesty, and yes sometimes monotone, voice of the author was soothing. I recommend this book and encourage you to find the heart to start. 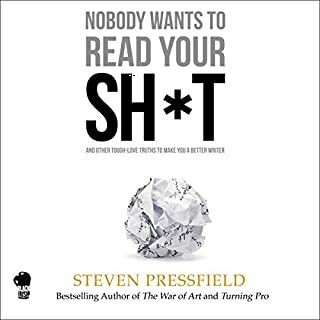 If you’re creating something...a business, a non-profit, a book, a game, whatever...this book has great advice on getting started and getting through to the finish. Highly recommended. Thanks for the book. It was a good little quick listen but nothing I would care to give to a friend. I have read a Kindle version and listened to the audio version of this book. David Kadavy will help you find the courage to start living your life on your own terms and not be paralyzed by the fear of failure and fear of success. 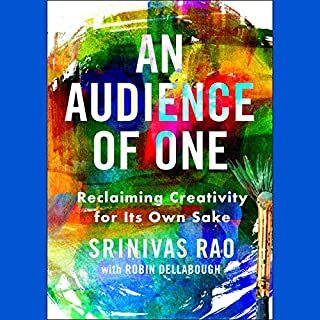 It helped me write my first book on creativity.